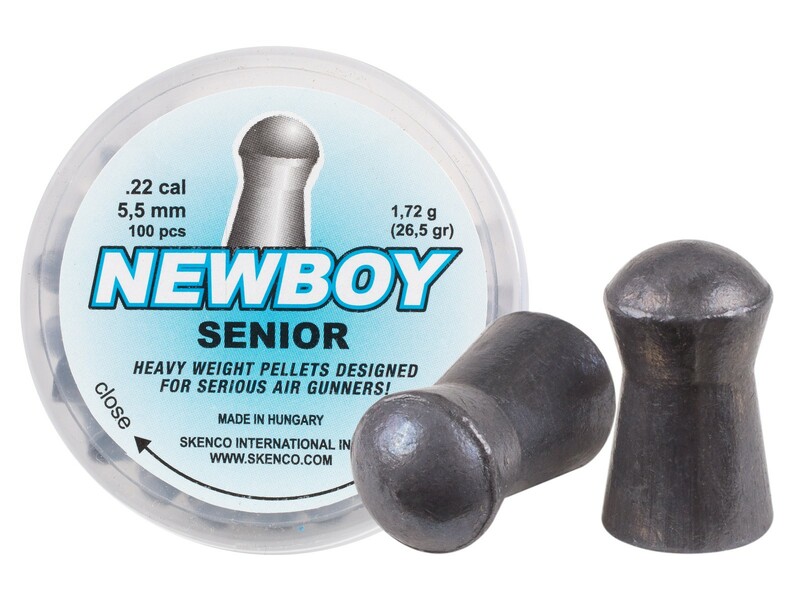 Newboy Senior pellets are quite heavy and are a good choice for hunting and plinking. 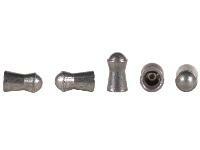 In fact, domed pellets are known for their accuracy. 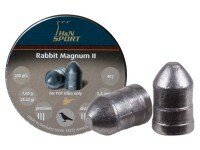 If you like to hit your target, these are a good choice. 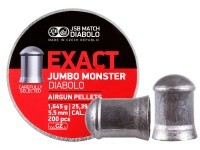 Things I liked: Bought these to reduce the velocity of my 22 pellet rifle. Did the job and still maintained accuracy out to 30 yards. They are heavy. 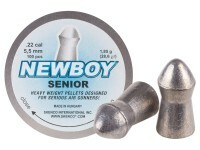 Things I liked: These are the pellets I choose for my octane rifle I got good results @ 50 yards. Things I liked: Skenco quality. Accurate. Heavy. Skenco works great in all my Magnum Hats, both Spring & Vortex, Break Barrel & Underlever. .22 or .25. What others should know: Working w/ a Tuned Hat 150 Spring, and a Hat 135 Vortex. Direct correspondence w/ Hatsan USA, they say go for it. 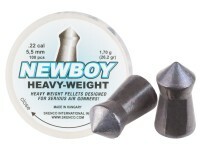 Any ways i use these at the barn on 20+lb Vermin. Im not trying to pick off Crows at 80 yrds w/ these. There heavy so there a little more quiet than an 18g. & Dont freak my Horses out. Been really windy here for months w/ El Nino. 18g stuff simply aint working. 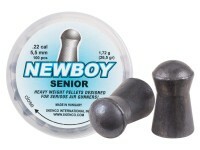 But again im using these at 5-15yrds or under, 25yrd max. POI is diff in height only. Simple, predictable Elevation adjustment w/ Peep sites and im on target. About an inch diff than a Poly Mag at 17yrds indoors. When i shot them outside at 25yrds they did fine. Deff keeping these and the 28g Skenco on hand. Glad i dont have to buy a bunch cause i wont be using a bunch. 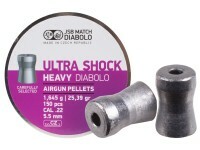 Does these pellets fit the MRod magazine?